Design/Build combines planning and design, procurement, negotiation and scheduling as a construction delivery method versus the traditional design-bid-build process. It provides for a single point of responsibility for the success of a project and can reduce the total duration of a project by allowing construction to begin prior to design completion. Additionally, this process allows costing to be incorporated into design decisions, allowing a project to come in at or under budget. Design/Assist brings the contractor into the design team which includes the owner or their representative, the architect, engineer, general contractor and other sub-contractors. With a design-assist project, we will meet with the electrical engineers on design and constructability issues and offer value engineering suggestions in order to keep the project on budget and on time. NEI Electric has electrical designers on staff with over 25 years of experience in the areas of healthcare, commercial and industrial facilities design, as well as municipal and retail projects. Value Engineering throughout the design phase allows the owner to get more value for their investment. NEI will offer value engineering suggestions and work effectively with the architect, project engineer, product manufacturers and other team members to present those savings options to the owner. On a recent design/assist project, NEI Electric was able to provide value engineering suggestions to reduce the project GMP by 21% while still maintaining the project’s LEED certification. Building Information Modeling (BIM) is a new approach to the design/build system. The BIM process combines drafting, geometry and spatial relationships with calculated information such as light analysis, quantity take offs and estimating into a three-dimensional model. Architects, engineers, contractors and subcontractors use this centralized model to better coordinate the design and construction of the project resulting in reduced errors and limiting RFI ‘s and change orders. 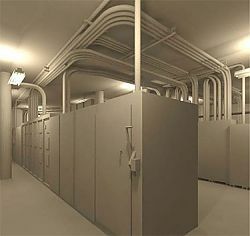 The implementation of Building Information Modeling is intended to improve visualization and coordination, increase accuracy and efficiency, and reduce the overall cost to the owner. 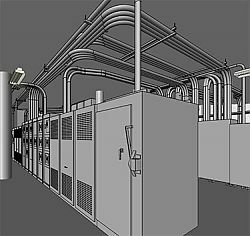 NEI Electric has a BIM/Auto Cad drafter on staff and we are able to produce drawings as requested for the project. Commissioning is the process of proving the equipment or systems we have installed perform and function as designed and specified on new or existing electrical systems. NEI will prepare detailed scripts for the electricians to follow during the Commissioning process; each step is documented and this report is included with the project close-out documents as required by the customer.